“It’s really going to be quite dreadful.” Netflix has just unveiled a new teaser for season two of A Series of Unfortunate Events. 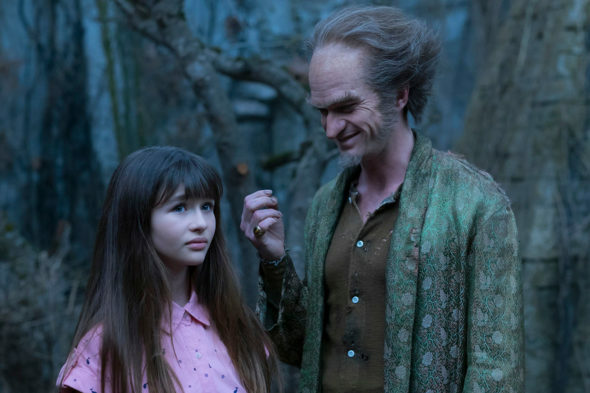 Based on the book series by Lemony Snicket, the comedy-drama follows the three Baudelaire orphans, who are sent to live with their eccentric relative Count Olaf (Neil Patrick Harris). The cast also includes Patrick Warburton, Catherine O’Hara, Aasif Mandvi, Alfre Woodard, Joan Cusack, Malina Weissman, and Louis Hynes. What do you think? Have you seen A Series of Unfortunate Events? Will you watch season two? I really love Jane the Virgin but hate that is on Friday.Can you move Season 5 back to Monday?